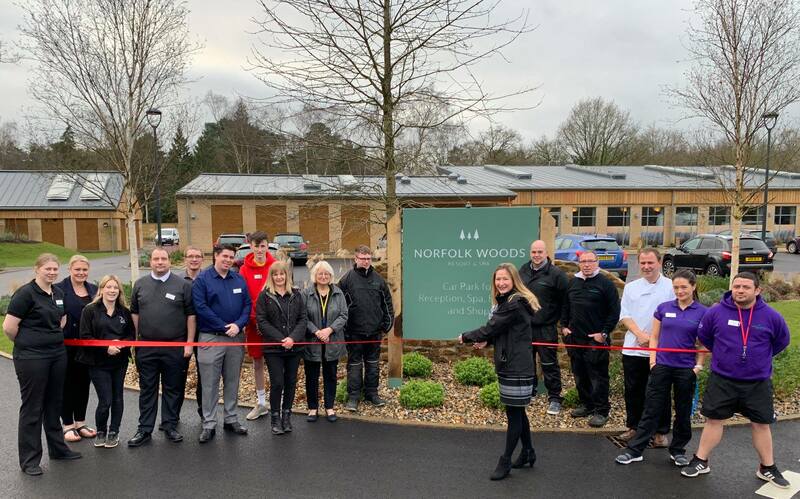 Darwin Escapes will have a brand new addition to its portfolio of UK holiday parks in 2019 in the form of Norfolk Woods Resort & Spa. This brand new resort situated in Kings Lynn will offer holiday home ownership in addition to holiday rental accommodation, with both sets of customers afforded access to a wide range of facilities and activities on-park. Built on the site of the popular former camping and touring holiday park known as Pentney Park, this multi-million pound renovation is aiming to mimic the offering at many of the brands other highly rated UK Holiday park destinations including the famous Cheddar Woods Resort & Spa in Somerset where 5 star facilities include an indoor heated swimming pool, spa, restaurant and gymnasium. Norfolk Woods is set to feature all of the above facilities completed to a similarly high standard in addition to retaining the popular on-site local convenience shop which will remain open to the general public in addition to those staying at the resort. Darwin Escapes’ partnership with Hoseasons ensures the presence of their popular Go Active programme which will be available daily throughout the parks 12 month open season for the benefit of holiday home owners, holiday makers and those in the local area. Alongside child specific activities, customers will also be able to try their hand at archery, fencing, water walking and many other activities. Sell My Group is delighted to be continuing its collaboration with Darwin Escapes into the coming year, with Norfolk Woods Resort & Spa set to be one of our first additions in 2019 with the retreat opening its doors for the first time in early January. With holiday home prices starting from £80,000 and a total of just 38 plots up for grabs, holiday homes are expected to get snapped up quickly at this much anticipated addition to Darwin Escapes ever growing portfolio of locations. The group will continue to work with only the UK’s most highly regarded holiday home manufacturers at this location, including Willerby and Pemberton, to ensure a quality offering to its newest community of holiday home owners. “We want our guests to be able to quickly relax and escape from the pressures of daily life”. Keep your eyes peeled on the Sell My Group website to be one of the first to learn when the first holiday homes become available for sale at a resort which is set to establish new standards in a location which is hugely popular with tourists and holiday makers on account of its eclectic range of visitor attractions and points of historic interest.